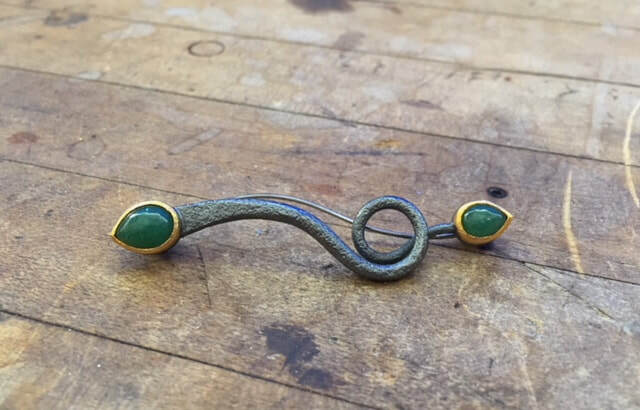 Students will learn how to make a brooch with forged elements, a bezel set cabochon and a pin stem in silver, gold and steel​. We'll cover forging elegant tapers, soldering gold to silver, creating pin findings from scratch, bezel setting and patination. 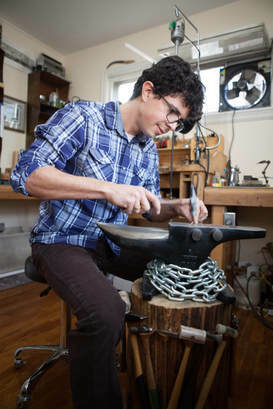 Students will also learn how to design a their brooch for security and wearability.